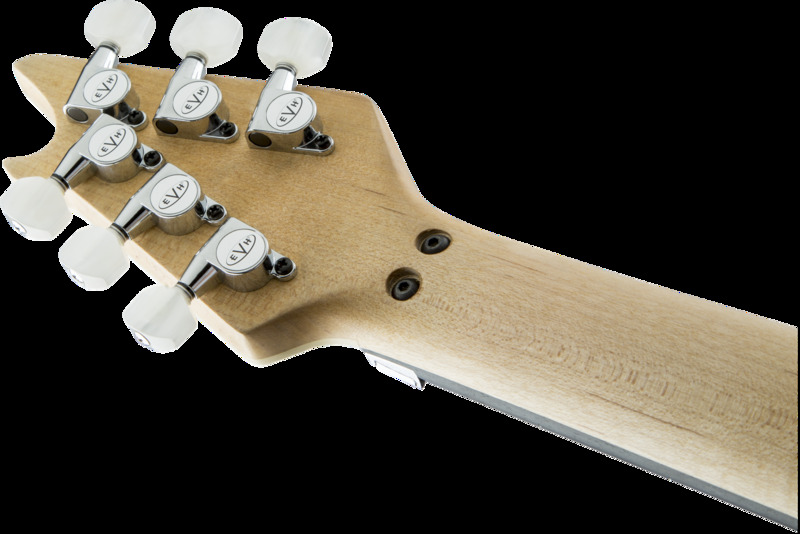 The basswood body features a big-leaf maple top and five-ply binding, while the bolt-on quartersawn maple neck is sculpted to Eddie’s precise specs, with graphite reinforcement and a hand-rubbed back finish for smooth, fast playability. 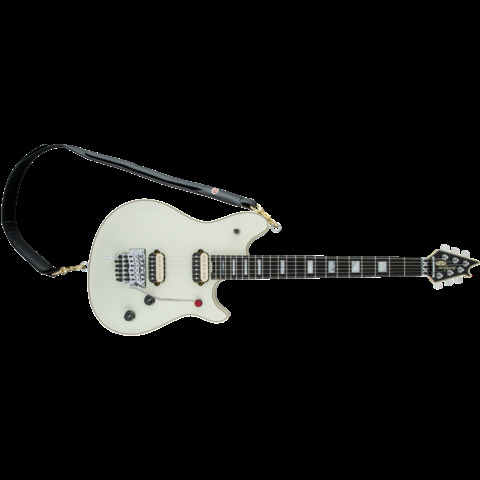 The compound-radius (12”-16”) ebony fingerboard has 22 vintage stainless steel frets, pearloid (Ivory finish) or dot (Stealth finish) inlays, and a convenient heel-mounted truss rod adjustment wheel. 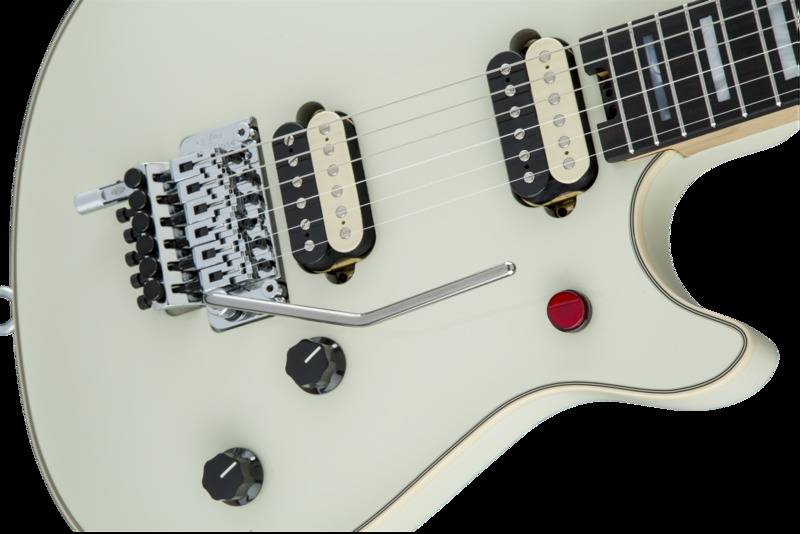 Experience scorching and well-balanced tone with a custom-wound alnico 2 EVH® Wolfgang® Humbucker in the bridge and a newly added alnico 3 custom-wound EVH® Wolfgang Humbucker in the neck, both controlled by a special reverse oriented three-way toggle switch. 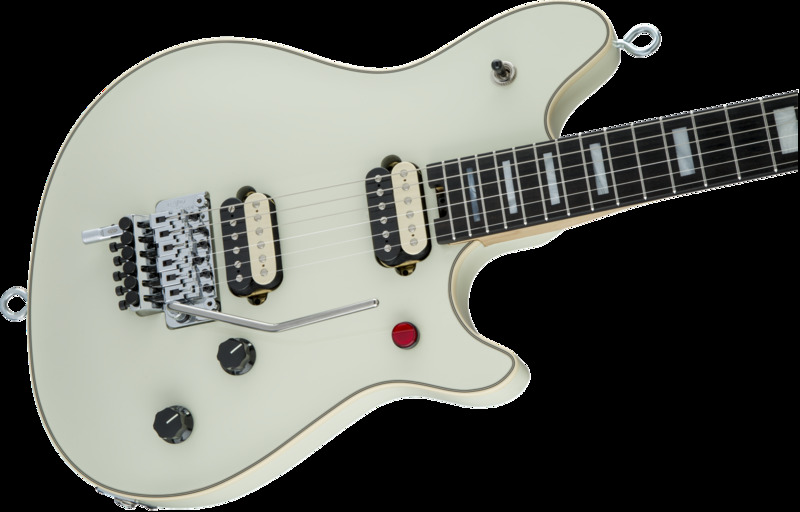 Stutter-stop à la “You Really Got Me” with the red-button killswitch and play “Cathedral” without any crackle or pop, courtesy of the EVH High Friction (Tone) Pot and an EVH “HPU” or High Performance Upgrade, custom-made Low Friction (Volume) Pot. 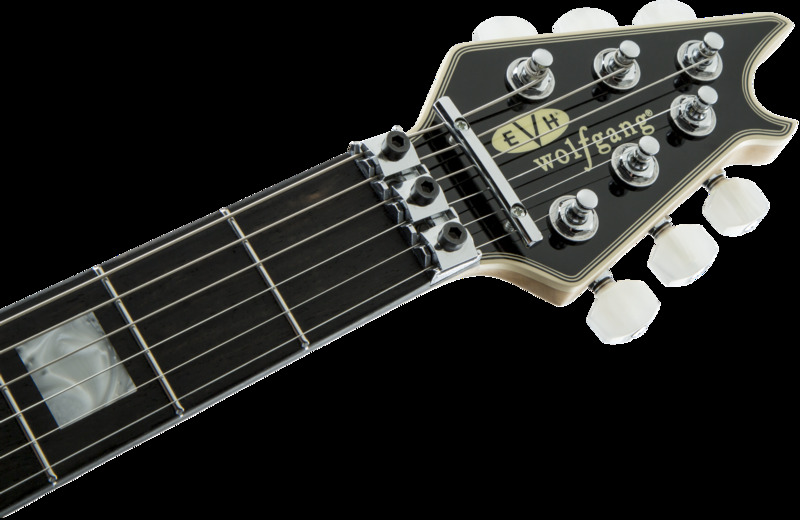 Sturdy and steadfast, the EVH-branded Floyd Rose® locking tremolo provides endless sustain and precise tuning regardless of how many dive bombs you rip or how drastically you attack your whammy-bar. 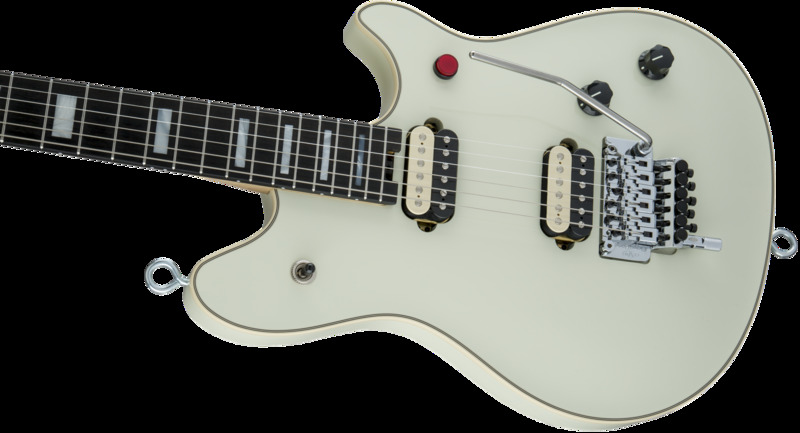 The EVH D-Tuna® retunes to drop-D and back with strict accuracy at the flick of a finger, with a low-friction volume control for smooth swells and a high-friction tone control that prevents accidental tone shifting. Boasts elegant and classic style in Ivory or Stealth with chrome hardware, black speed knobs and dog leash strap/eye-bolt clasps. Hardshell EVH Striped SKB case and EVH leather strap included.